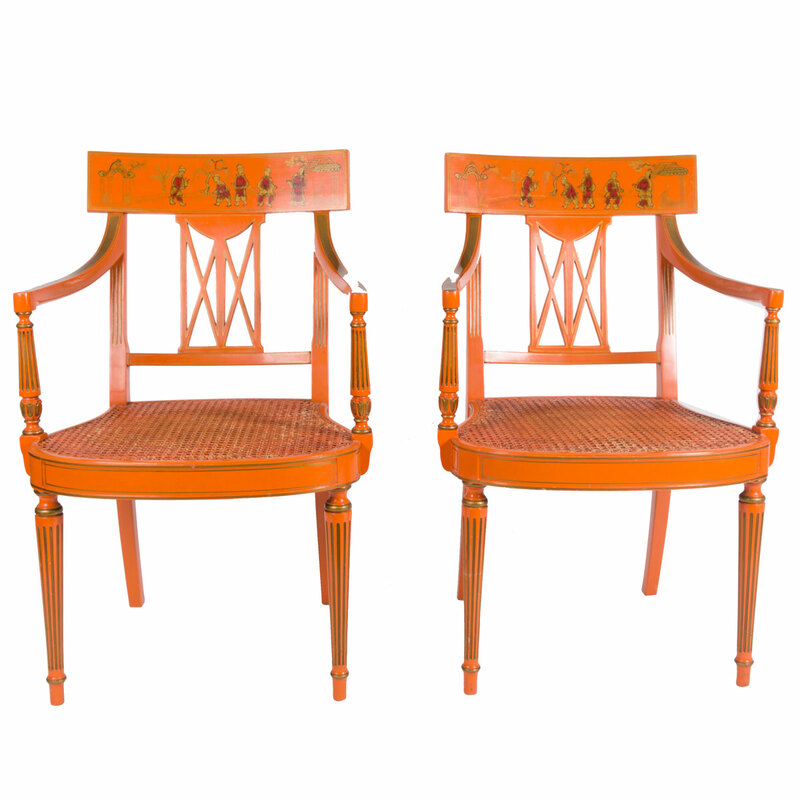 Orange timber painted Chinoiserie hall chairs (pair available). 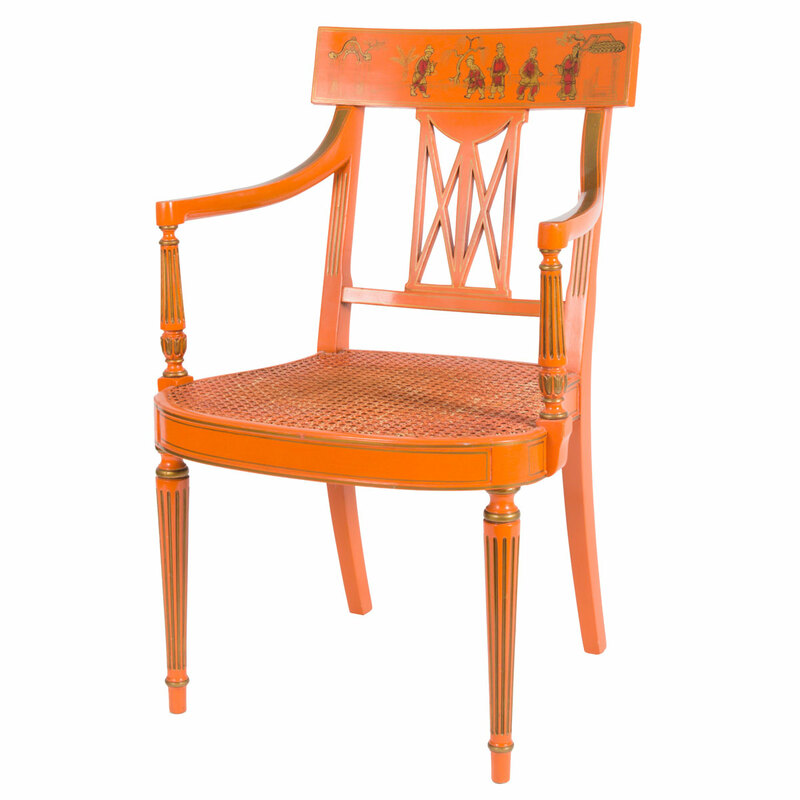 Slight wearing to colour on seats adding to the aged decorative appeal. 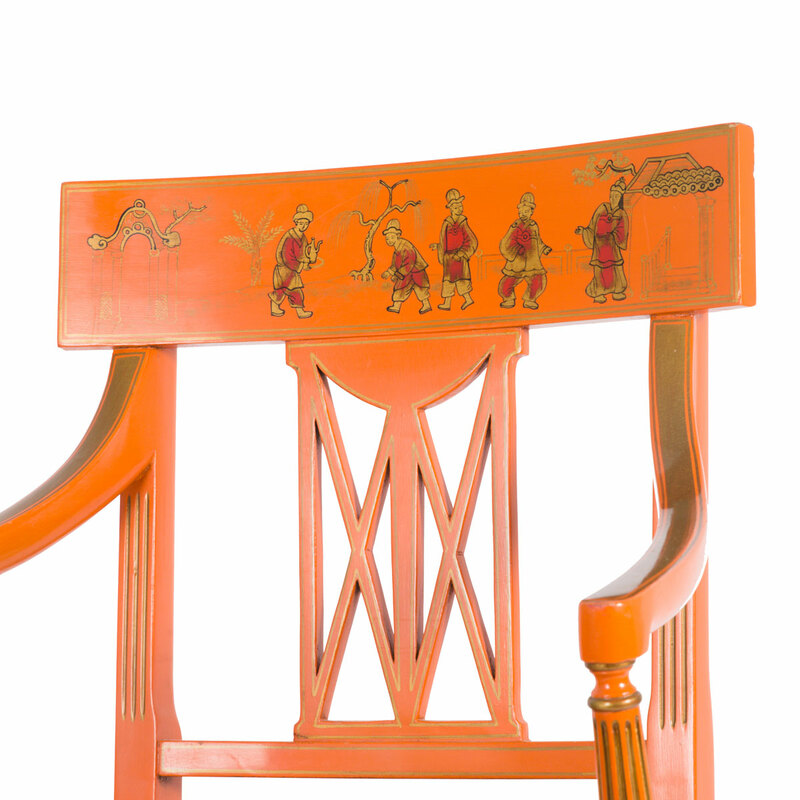 Tufted seat cushions could be made for the seats for added comfort.